The petition drive to collect more than 100,000 valid signatures to put a recall on the ballot kicked off Sunday. In Balboa Park, volunteers stood at the finish line for the America's Finest City Half Marathon. Some runners who had just crossed the finish line stopped to sign the Filner recall petition. At a planning meeting in Mission Valley, organizers of the petition recall said they've divided the city into 18 areas for the recall effort. Those areas are divided further, into neighborhoods. Each zone will have a manager. 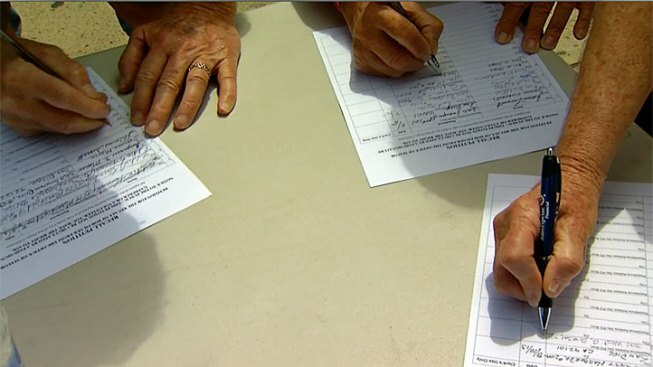 The petition drive to collect more than 100,000 valid signatures to put a recall on the ballot kicked off Sunday. NBC 7’s Rory Devine reports. Organizers say they didn't have a problem finding people willing to help. Based on Sunday's turn-out, recall organizers said they will not have to hire professionals, to gather signatures. They say they're still hoping to raise $250,000, to pay for printing, advertising, and consultants. "In Kindergarten, the first thing you learn is 'Keep your hands to yourself.' And so if a four year-old, a five year-old can do it, a 70 year-old man should definitely not be mayor," said Evan Dow. Recall organizers need to collect and turn in more than 101,000 valid signatures by Sept. 26 to qualify for the ballot. 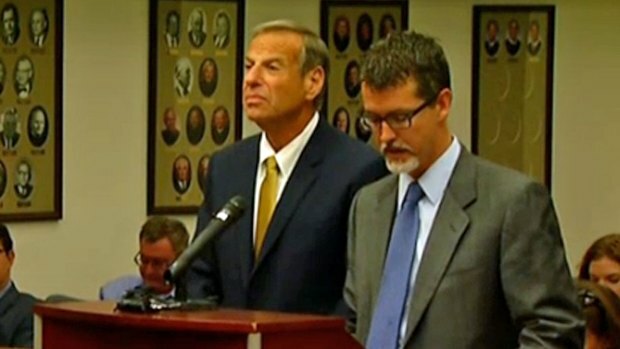 Mayor Filner has not responded publicly to the weekend’s recall efforts, but recently stated that he has no plans to resign.